For a while, American Airlines had been updating its 777-200 fleet, removing the first-class cabin and replacing the 2-3-2 angle-flat business seats with a fancy 1-2-1 pick. Things were really looking up, until AA pulled the plug on the upgrades roughly seven months ago. The Zodiac seat AA’s replacing, as seen on the 787-8. While the retrofitted 777-200 was a huge step up from the previous version, the new Zodiac biz seats fell a bit short of what AA offers on the 777-300ER, and — more importantly — Zodiac was far behind schedule, holding up the rollout of new American planes. So AA dropped Zodiac and went searching for a replacement. 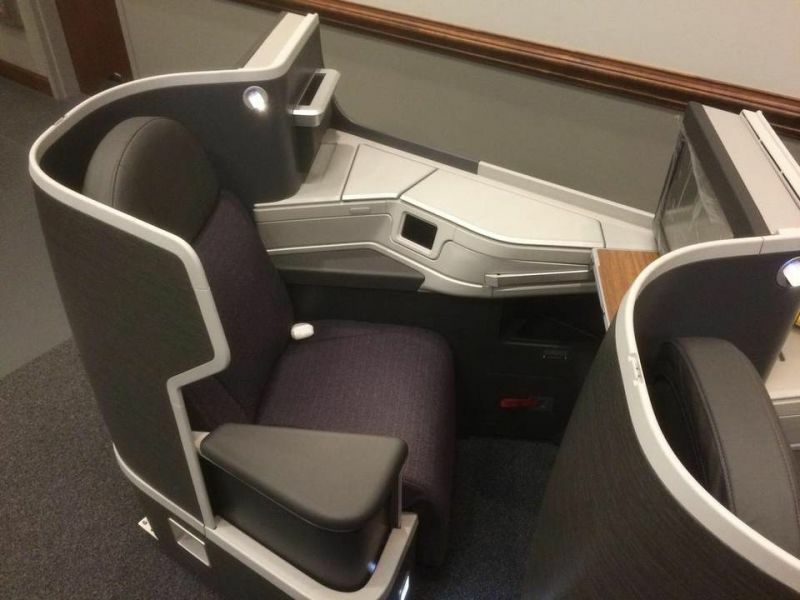 Another look at AA’s new business-class seat. American’s new business-class seat will be manufactured by B/E Aerospace, which has a US office based in Gainesville, Texas — not far from AA’s Dallas/Fort Worth headquarters. According to American, B/E will provide the business-class, economy and premium-economy seats for its upcoming Airbus A350s. Additionally, this business-class seat will make its way to the 777-200s that have yet to be updated, in addition to the Boeing 787-9 Dreamliner. B/E Aerospace will be our Business Class seat manufacturer for the 777-200 retrofit aircraft and the 787-9 due later this year, as well as the A350 to come in 2017. 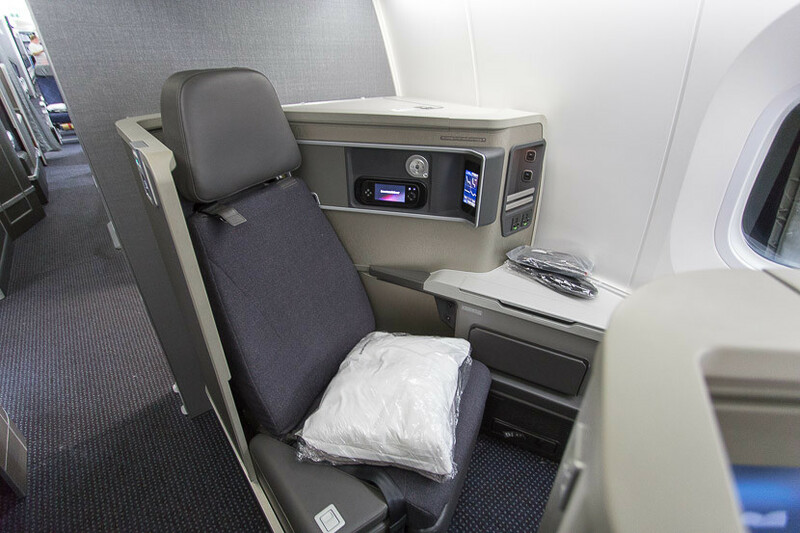 With this new addition, American will operate three different types of business-class seats, all of which are fairly recent and similar on the surface, but with key differences in functionality. So you could eventually find yourself flying Dallas to Los Angeles on a 787-8, Los Angeles to Hong Kong on a 777-300ER and Hong Kong back to Dallas on a 787-9, with different business-class seats on each plane. What do you think of AA’s latest business-class seat pick?